Yemen could officially be considered as a ‘regional war zone’ after a coalition of Arab forces led by Saudi Arabia shelled areas controlled by the Houthi Movement. The Houthis have vowed that they will not surrender after the airstrikes and their leader Abdel-Malek al-Houthi said that will make them cowards after the “despicable aggression.” Airstrikes are reported to have targeted a reception camp of new recruits west of the capital, al-Anad Air Base in Aden, Tariq Air Base in Taiz and bases of ground forces. 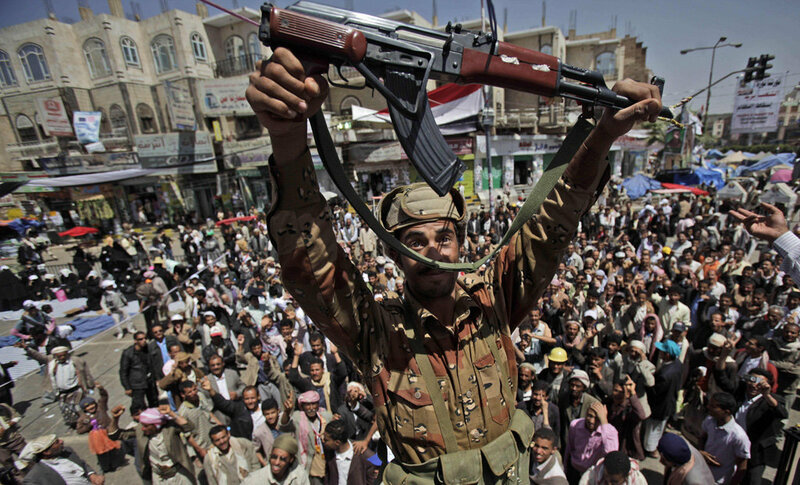 He said that “all 24 million Yemenis will stand united” to face the aggression. Meanwhile President Hadi arrived in Riyadh on Thursday from Aden under Saudi protection and will later on proceed to Sharm el-Sheikh in Egypt to attend the Arab Summit on Saturday. Chaos in the country is expected to worsen. Written by: Jaber Ali on March 27, 2015. Posted by Jaber Ali on Mar 27 2015. Filed under Gulf News, Headlines. You can follow any responses to this entry through the RSS 2.0. Both comments and pings are currently closed.